Dr. Cassandra S. Bosier currently serves as principal at an elementary school. She began her career in the public school sector as a third-grade teacher in 1998. After a few years of teaching, she took on the role of school-wide mathematics coach in 2005. This unique opportunity afforded Dr. Bosier a chance to participate in over 1000 hours of intense training in the area of teaching, learning and facilitating training to other practicing educators in the field of mathematics. During this time, she also completed her doctoral study on the Effects of Teacher Perception of Differentiated Mathematics Instruction on Student Achievement in Grades 3-5 as Measured by MAP in 2007. Bosier continued her quest to empower classroom teachers and then went on to serve as the school-wide Differentiated Instructional Coach. Bosier earned a Bachelor of Science in elementary education from South Carolina State University. Her master’s degrees include a Master of Education in integrated studies in elementary education from Cambridge College and a Master of Science in leadership in education administration from Capella University. In 2007, she earned a Doctor of Philosophy in advanced teaching K-12/curriculum and instruction. 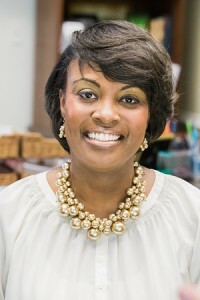 Her professional affiliations include the National Education Association, S.C. Association of School Administrators, S.C. Education Association and Richland County Education Association.